Léna Roy: Help Me Celebrate Five Years of Working with Young Writers! Help Me Celebrate Five Years of Working with Young Writers! I’d like to enlist your help in promoting young writers. As you all know, I started wading into the world of writing as a child and have been swimming with words ever since. I believe in the power of creating, of linking disparate concepts together, of healing through words, through developing, conjuring, and discovery. I believe in the power of writing to transform and help us grow into empathic, compassionate human beings. Most of you also know that Rob and I run a not-for-profit writing program called Writopia Lab in the suburbs of New York City in Westchester and Fairfield Counties. Our mission in life is aligned with the mission of Writopia Lab: to foster joy, literacy and critical thinking in ALL young people from all walks of life. Contrary to the stereotype of the suburbs, this area includes small cities hit with urban blight and pockets of rural poverty. Just over five years ago, I was introduced to innovator and thought-leader, Writopia Lab founder Rebecca Wallace-Segall by Susan Cain (NYTimes best selling author of Quiet). Not only had I met another kindred spirit, but I found the program I had always wanted to be part of, a program to give structure and context to my passion for writing and for teaching. 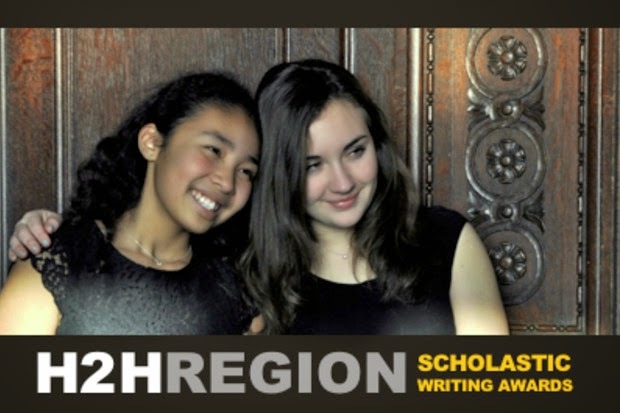 Three years ago we became the affiliate for the scholastic Writing Awards in nine counties north of New York City. This means that we encourage and promote teen writing by both providing a ceremony and by adjudicating the awards regionally. It is the nation’s longest-running, largest, most prestigious recognition program for creative teenagers. Over the past 92 years The Awards have given teens involved in the arts a level of recognition and reward typically reserved only for athletics. I didn’t know about the Scholastic Writing Awards when I was a teen, nor did I have access to a program like Writopia Lab. How I would have thrived! But I remember my third grade teacher, Mrs. Fitzhugh, who believed in me. I channel my grandmother, Madeleine L’Engle, a wonderful writer, teacher, thinker, who alway claimed that I was an artist, “like her”. And I think of my mother and father, who passionately championed that I could be anything I wanted if I followed my own path. Well this is my path folks! So I invite you to help me celebrate my fifth anniversary of working with Writopia Lab by donating $5 or more to this Indiegogo campaign to fund three scholarships to graduating seniors who are regionally recognized by the Scholastic Awards for an essay/memoir piece, a fiction piece, and a poetry piece. And if you are so inclined as the fiscal year comes to a close, Writopia Lab itself is a wonderful place to support. Writopia Lab is a 501(c)3 non-profit that operates with limited resources, relying heavily on support from the community to sustain our programs--over 95% of our funding comes from the community in the form of these workshop and membership fees. Go to www.writopialab.org/donate to find out more. Gucci brand can be a trendy company worldwide. After the idea stormed your fake fendi involving manner, stars along with manner elites got an excuse to shell out his or her income. This specific brand based upon replica rolex watches. A variety of clothing are actually developed including belts along with bags. A lot of people, specially adult men get understood that will for being popular you'll want to search for affordable replica rolex. For the reason that you can search reasonable plus save your income. The retail price just for this chanel replica might be tough for many to cover the. For the reason that every single object includes natural natural leather, which in turn echos longevity. Thankfully that one could find reasonably priced fake u-boat on-line. Observe that one could merely do this with your time and efforts along with research prices. If overall revenue method could be the first piece of the puzzle chanel outlet, qualifying capability is actually 2nd replica handbags. Effective promoting pivots around the salespersons capacity to meet the criteria possibilities and discover the prospects possible Chanel Replica bags. Certainly you can find some other critical factors, but none supersede alcohol effectively determining a potential customers require, spending budget, timing, choice procedure and alternatives. -What is their current companys benefit proposition and how do they place it in perform? -What could be the standard purchasing process for their potential customers? Jean-Marie Lefevre gucci replica (Ecole Centrale, INSEAD MBA) replica louis vuitton, President of Pommery since 1995, will assist and report to replica handbags Pierre Letzelter from now on, in coordinating the tag heuer replica management of art and auction activities within the Group. Ted Ginn, the 6'1, 185 pound junior Atlanta Falcons vs New York Giants live stream WR from THE Ohio St. University may be the foremost thrilling player in school soccer...he is the most effective return person that is evidently. Amezing,you can share father's day quotes Sayings and greetings. Check here Latest Hindi status and Share with your freinds.